A wonderful wedding or engagement gift or a treat for you! 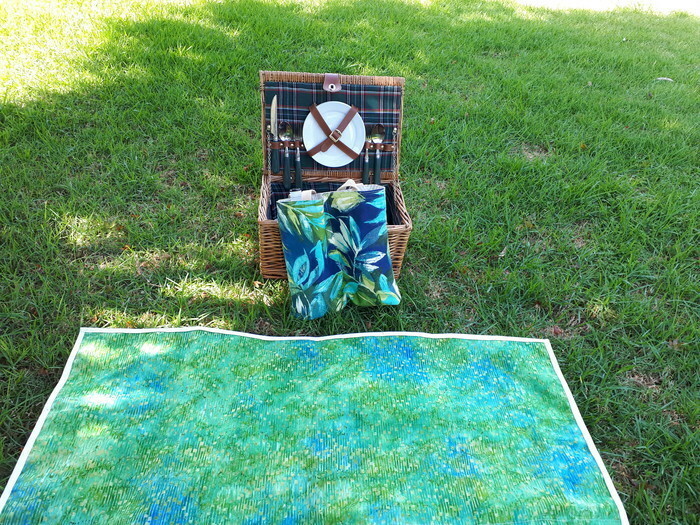 This Picnic Set consists of a very pretty cotton top rug backed with fade, stain and water resistant outdoor fabric. Combined with a co-ordinating double insulated water resistant bottle holder. 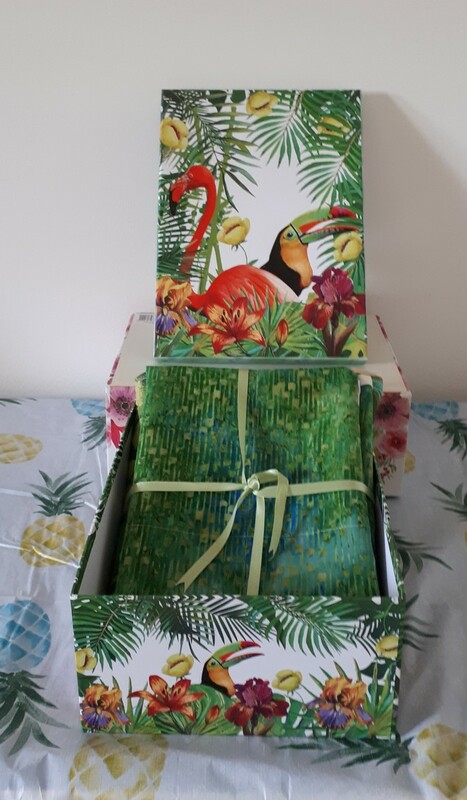 Beautifully presented in gift box shown.